The world has not yet forgotten the intensity of the feeling which existed when old Mr. Scarborough declared that his well-known eldest son was not legitimate. Mr. Scarborough himself had not been well known in early life. He had been the only son of a squire in Staffordshire over whose grounds a town had been built and pottery-works established. In this way a property which had not originally been extensive had been greatly increased in value, and Mr. Scarborough, when he came into possession, had found himself to be a rich man. He had then gone abroad, and had there married an English lady. After the lapse of some years he had returned to Tretton Park, as his place was named, and there had lost his wife. He had come back with two sons, Mountjoy and Augustus, and there, at Tretton, he had lived, spending, however, a considerable portion of each year in chambers in the Albany. He was a man who, through many years, had had his own circle of friends, but, as I have said before, he was not much known in the world. He was luxurious and self-indulgent, and altogether indifferent to the opinion of those around him. But he was affectionate to his children, and anxious above all things for their welfare, or rather happiness. Some marvelous stories were told as to his income, which arose chiefly from the Tretton delf-works and from the town of Tretton, which had been built chiefly on his very park, in consequence of the nature of the clay and the quality of the water. As a fact, the original four thousand a year, to which his father had been born, had grown to twenty thousand by nature of the operations which had taken place. 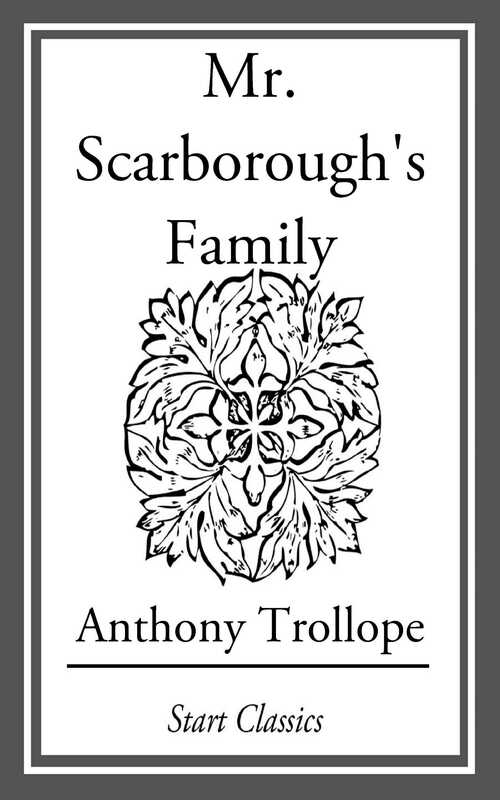 But the whole of this, whether four thousand or twenty thousand, was strictly entailed, and Mr. Scarborough had been very anxious, since his second son was born, to create for him also something which might amount to opulence. But they who knew him best knew that of all things he hated most the entail. . . .